The Gundjeihmi Aboriginal Corporation, representing the Mirarr traditional owners of Jabiru township in Kakadu National Park, today welcomed the announcement of Coalition and ALP backing for the town’s masterplan and for the revitalisation of Kakadu. In July 2018 the Mirarr presented and negotiated a vision and detailed masterplan for the economic future of the former mining town and the surrounding park. While the NT provided in‐principle support, until today the position of federal politicians was unclear. 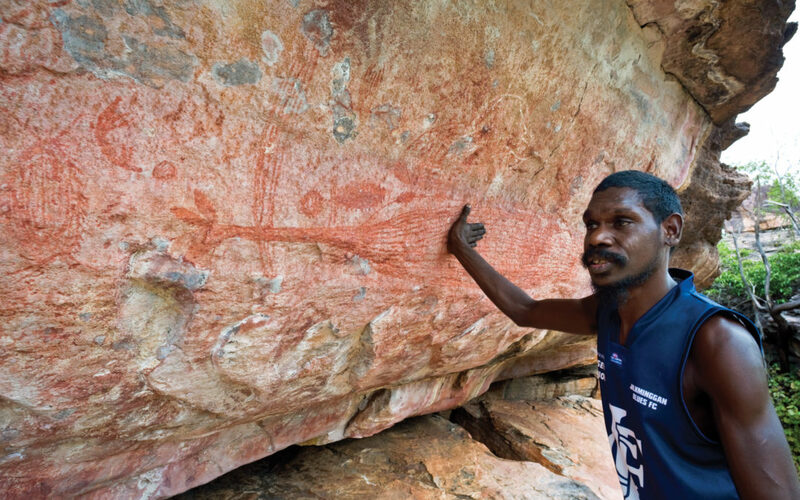 The Mirarr have primary responsibility for the town which is the service centre for Kakadu and West Arnhem Land. Gundjeihmi will now work closely with both the federal and Northern Territory levels of government to transition the town from its mining past to a future destination for visitors from across Australia and the globe. “Today’s announcements are very welcome and timely as the town needs certainty for its future viability and Kakadu is in dire need of a refresh,” said Justin O’Brien, CEO of GAC. “For this investment to succeed it needs the genuine engagement of Traditional Owners, outside the usual bureaucratic processes of the National Park Board of Management. This means a direct hand in the new tourism masterplan and roads strategy for the Park, and more direct control over the protection and care for the significant Indigenous cultural heritage in the Park.” Mr O’Brien said. “The Mirarr plan for Jabiru embraces emerging technology and provides for meaningful partnerships with industry to create innovative and meaningful cultural tourism experiences. The vision is to set a new standard internationally for visitor engagement with Indigenous country and culture,” Mr O’Brien concluded. Gundjeihmi has consistently advocated for Jabiru’s transition from mining to tourism and service delivery. As early as November 2000, Mirarr senior traditional owner Yvonne Margarula and then Australian Conservation Foundation president Peter Garrett signed the ‘Kakadu Charter’, calling for ecologically sustainable development of a viable economy without mining and for recognition of the primary decision‐making role of Traditional Owners.